How to Answer the Most Common Interview Question: What is Your Greatest Weakness? The interview question job seekers dread and hiring managers love to ask, “What do you consider your greatest weakness?” is almost always inquired during an interview. We get it, it’s an uncomfortable question to answer! No one wants to talk about their flaws to someone who they’re trying to impress. From an employer’s perspective, your answer can determine if you will be an asset or liability to the prospective organization. Even though candidates dread this question, you can almost guarantee in some shape or form it will be asked during your interview. Candidates often think this question is purposeless - who would honestly admit to your weakness during an interview? In reality, hiring managers are testing your preparation and self-reflection. The worst possible answer to give is saying that you don’t have a weakness or don’t know of one. Employers will automatically think you are unprepared, lying and lack self-awareness. The last thing you want to come across as is arrogant or dishonest. To avoid being that candidate, we’re breaking down this frequently asked question so you can be fully prepared and successfully answer in your next interview. Now that you can properly identify what your weaknesses are and recognize when you are being asked, you need to formulate the best answer. Like previously mentioned, emphasis traits that are NOT necessary for the job. You definitely do not want to admit anything that would hinder your abilities to succeed in the position. For example, if you’re interviewing for a sales position don’t say your weakness is communication or public speaking skills. Honesty is the best policy, especially in an interview. You don’t want to come off as insincere by glossing over your flaws. Instead, keep the conversation positive and light. Avoid using any negative words about yourself or anyone else such as “failure”, “weak”, or “loser”. Confidently explain your authentic weakness and the steps you took to overcome it in the past. It’s okay to admit that you’re not perfect but that you recognize your downfalls, take the initiative to work on them, and learn and grow from them. 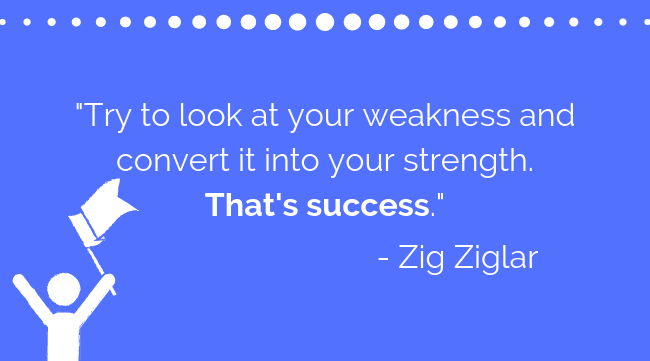 The next time you are asked this question remember, your weakness is a strength in disguise. Identify your weaknesses and practice your recovery. Take time to go over these two things before your interview and you will answer this question naturally and confidently. Want more information that will help you to succeed in your career? 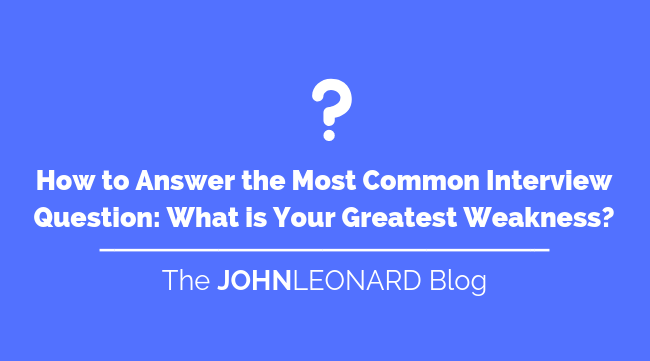 Subscribe to our JOHNLEONARD blog below and receive the latest career advice!